Has the range of a gospel belter, the phrasing of a jazz diva, a bit of a country twang, and a taste for humor that make her something of a difficult fit in these category-obsessed times. Can Kelly sing? Like no one else on this earth. Hear it once and you'll never mistake it again. Hogan's voice itself is an extraordinary tool capable of sounding completely at home singing almost anything — it's hard to tell where her range begins and ends, because she simply never sounds as if she's straining. Kelly Hogan is not the kind of singer who has many casual fans, only devotees. I mean, she covers a haunting, chilling, world-ending ballad like "I'll Go To My Grave Loving You" on Because It Feel Good AND turn the kids' bath time diddy "Rubber Duckie" from The Bottle Let Me Down into a steamy, sexed-up invite...now THAT'S versatility. 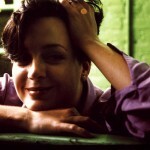 Think of her music as existential countrypolitan soul with a world class voice. Kelly was born and raised in Atlanta where her dad is a policeman and her mom can make a pickle out of anything. She's been singing as long as she can remember. Her brother used to punch her in the arm for constantly harmonizing with the radio, yet she could not put a sock in it. 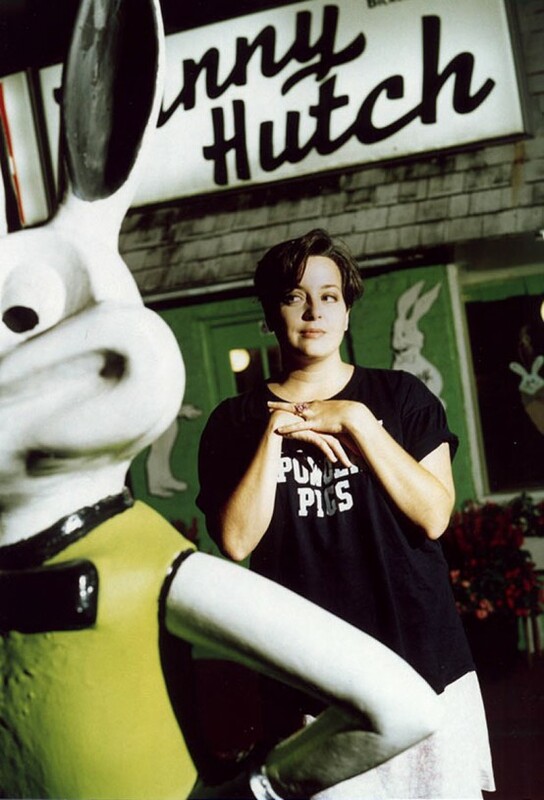 Hogan began to hone her mellifluously spooky welter of torch songs and honky tonk anthems when she fronted the legendary peg-legged cabaret quartet, The Jody Grind, and then fanned the flames of her bummer-rock fixation while playing guitar for Orbisonic southern gothic punks, The Rock*A*Teens. Then she got ants in her pants and she moved north to Chicago in 1997 where she became Bloodshot's first paid employee ($500 a month!). After Bloodshot Rob saw her get up and sing with Dale Watson at Schubas, he promptly fired her and demanded she get back to singing. 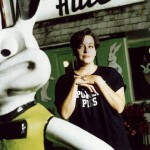 Her stint in our busy little hive was marked by two solo albums, appearances on some clever and popular Bloodshot compilations, a split single with fellow dirtybird Neko Case, and appearances on albums by the Sadies, Nora O'Connor, the Pine Valley Cosmonauts, Wee Hairy Beasties, Rex Hobart & the Misery Boys, Robbie Fulks, Roger Knox, Jon Langford, Alejandro Escovedo and, are we missing somone? Probably. Everybody wants Kelly on their records. 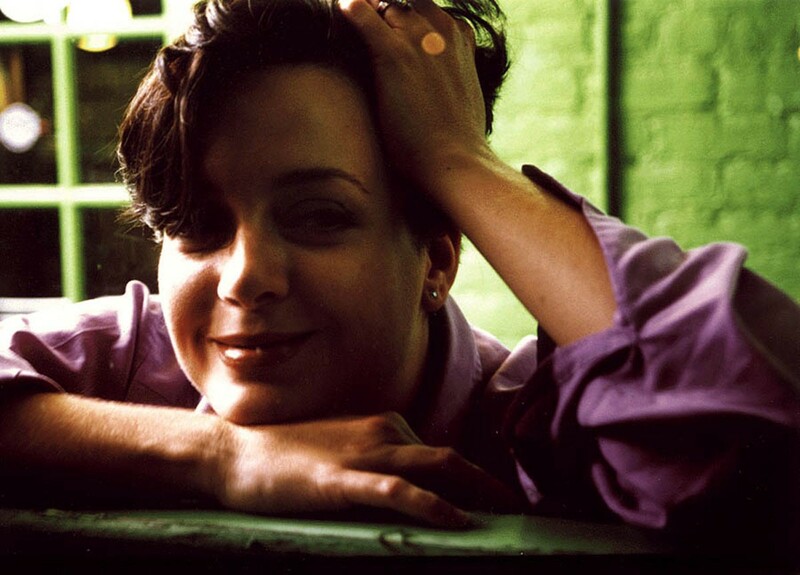 To whit, the past few years has seen Kelly singing with fellow Georgians the Drive-By Truckers, the Decemberists, gospel legend Mavis Staples, Iron and Wine, Jakob Dylan, the hopped up jazz combo The Wooden Leg and recording and touring with Neko Case as her back up singer (a match made in heaven, let us tell you). There's prolly a lot more we're missing, but we can guarantee if Hogan is on it or with it, you're gonna love it. The many touchstones (a gamut stretching from The Beach Boys and The Boswell Sisters, to Trip Shakespeare and Dr. Dog) were gathered on the shores of late night AM radio and get tossed at the listener with a giddiness that jumps outta the grooves. Kelly's voice is so versatile it can wrap itself around any song, in any style, be it torchy jazz, country weepers, soul-fueled bump and grinders or long-lost pop nuggets, and transform them into something all her own. Hell, just her compilation appearances could be their own "Best of..." collection. She's that good.